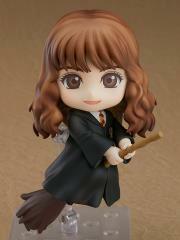 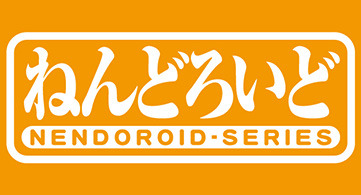 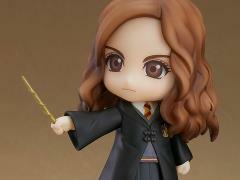 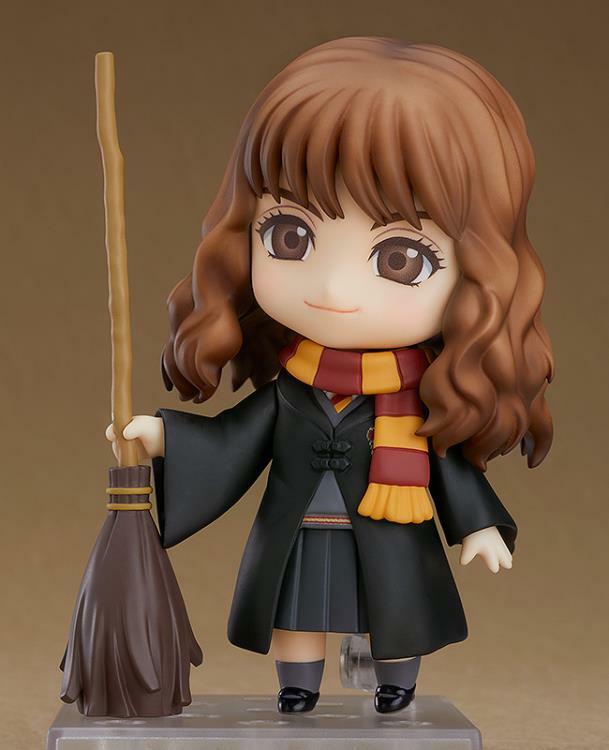 Featuring Hermione Granger, Harry's good friend from the popular film series, "Harry Potter," as a Nendoroid action figure! 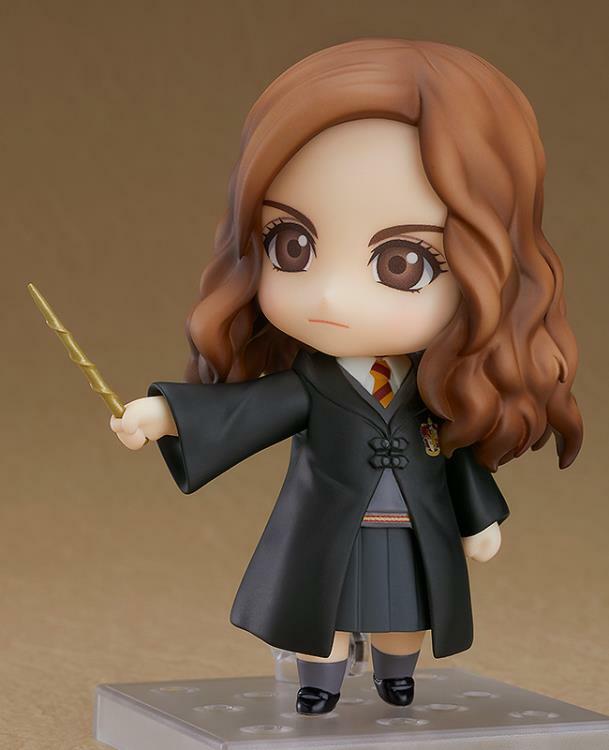 Included with the figure are three face plates including a standard expression, a serious expression for when she is casting spells and a smug expression, fitting of the star student! 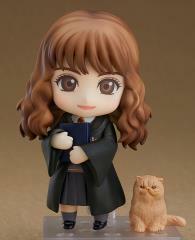 Additional optional parts include a wand, book, her pet cat Crookshanks, a broom, special parts to display her riding her broom as well as an interchangeable front hair part to display a slightly different, more mature-looking version of Hermione!